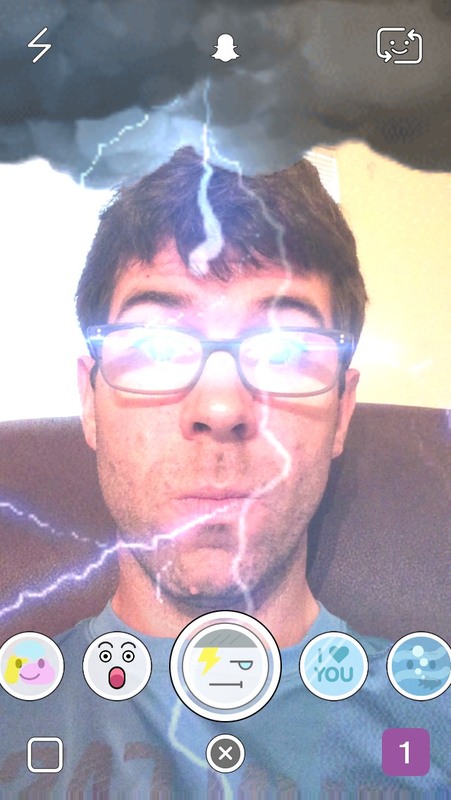 Home › Snapchat Selfie Filters › How Do I Get the Snapchat Lightning Storm Selfie Filter? How Do I Get the Snapchat Lightning Storm Selfie Filter? This is one of my personal favorites and I hope they put it in the rotation for the future. What do you think? Is this one of the better Snapchat selfie filters? One with red lazer beams and one set of 7 with rainbow puke. I was wondering how to get the thundering effect set and all other different sets consisting of money, cute , underwater , etc lenses.